Many people are easily intimidated by the thought of writing a screenplay. The binding, the formatting, and the rules seems to be an endless parade. Don’t let the elements of writing a screenplay scare you as you sit down to write the first script. Whether you want to write a suspense scene or an incidence filled with comedy, these templates are there for you.These Story Board Templates will provide you with the basic format which means half of your battle is already won. You can download the free or premium format and make changes according to your requirement. They help you in including the required elements in a screenplay. The free Screenplay template as the name suggests is a free template which can be easily accessed online. Apart from its accessibility, the template is a comprehensive made up. 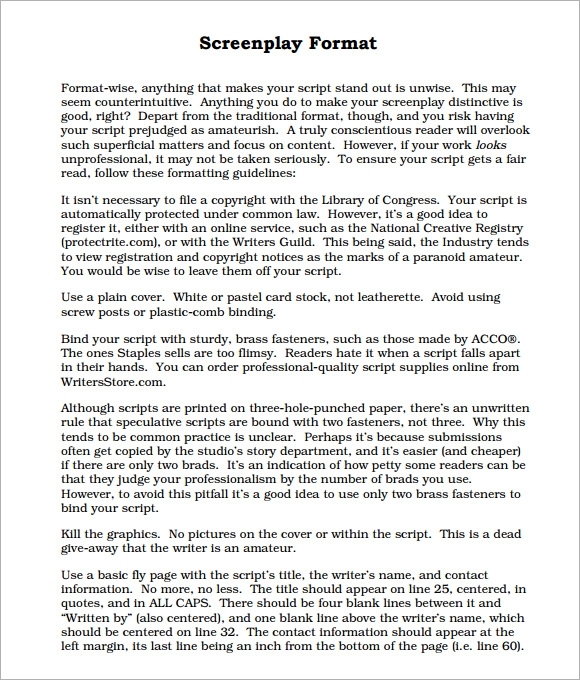 It is designed in order to deliver the writers a well sought screenplay guide. It is pretty well made and can be downloaded in various formats including Word and PDF. 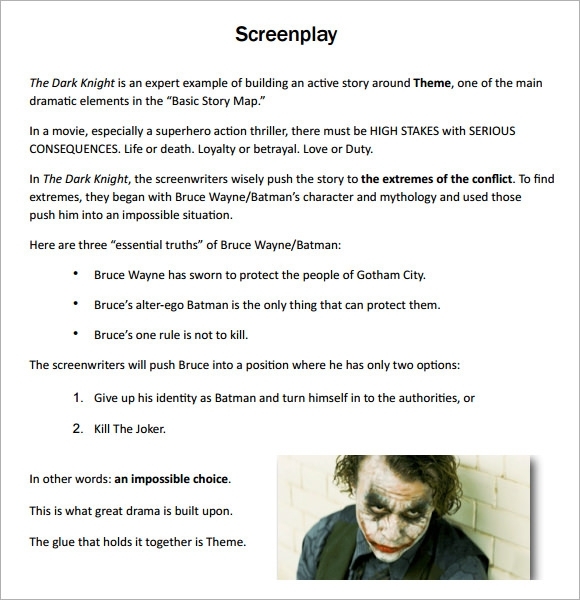 This Screenplay template is an effective and informative template that can be easily accessed. The template is a quick guide for writers seeking to write a screenplay. The template underlines all the important portions of a screenplay that cannot be ignored or skipped. The template is available for free downloads. And this template is available in various formats like PDF, Word, etc. Screenplay templates are a guide for writers. These documents are cleverly made since they cover all the important points that must be included in a screenplay. This PDF format template has very well designed sections which depict hints to your plot which you can use to make your story an interesting piece. This template is available online for free downloads. 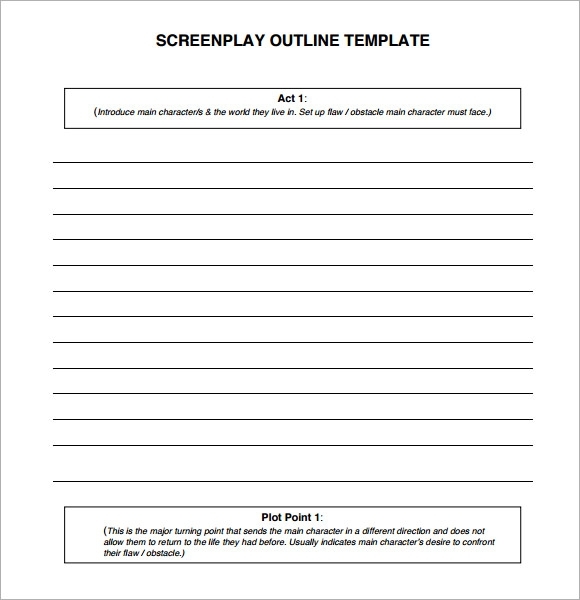 This screenplay template is a quite useful template that is designed by writing experts. Covering the outline of screenplays quite well, this template is like a format. So lie a format, you need to fill the points up. Very interestingly made, download this template for a easy writing experience. This template is available online for free downloads and in various formats. Why Do You Need Screenplay Templates? Writer’s block is the ultimate time killer and time waster that hangs over a writer’s head only when he needs to meet his targets. And screenplay writing is one such job in which ideas can fly and motivation can vanish. Thus, screenplay templates are those interesting bits of numerous screenplay formats that a writer can use to ease their process of doing writing work. These templates are well documented by experts for a wonderful writing experience. When do You Need Screenplay Templates? When ideas start to dilute or when imagination takes a backseat, then a writer needs a screenplay template. The template is quite useful in such a scenario. 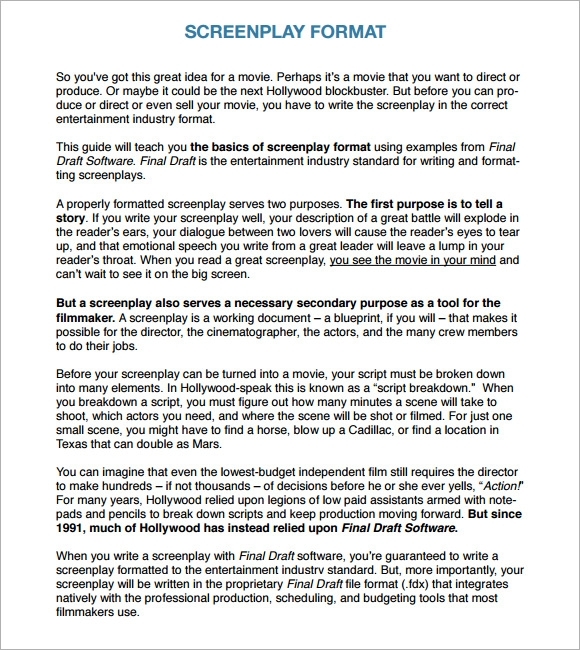 Screenplay templates are not only easy to use but they are also quite innovative. So when a writer faces obstruction in writing, he/she can refer to this template to create a wonderful write-up. 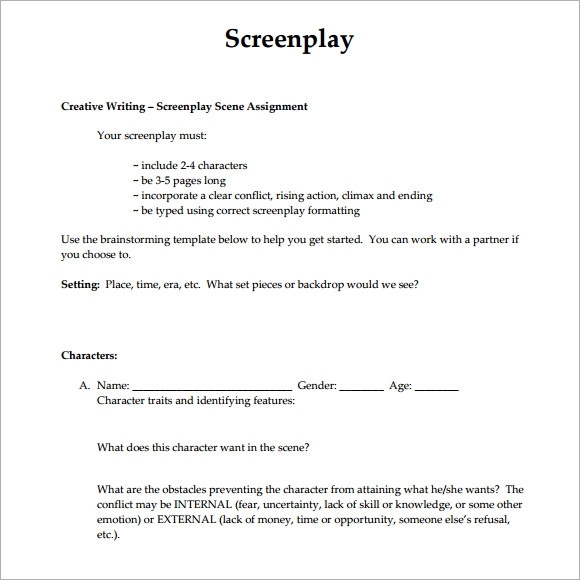 Screenplay templates are useful for writers as well as academicians. These templates provide a format to the mainstream writers as well as budding writers since these templates follow a format. The format is quite easy to inject and is also easily downloadable. The template is a good source of ready reference anytime and anywhere. The best part is that the document can be downloaded in various formats hence it can be edited and filled up after taking a print-out. 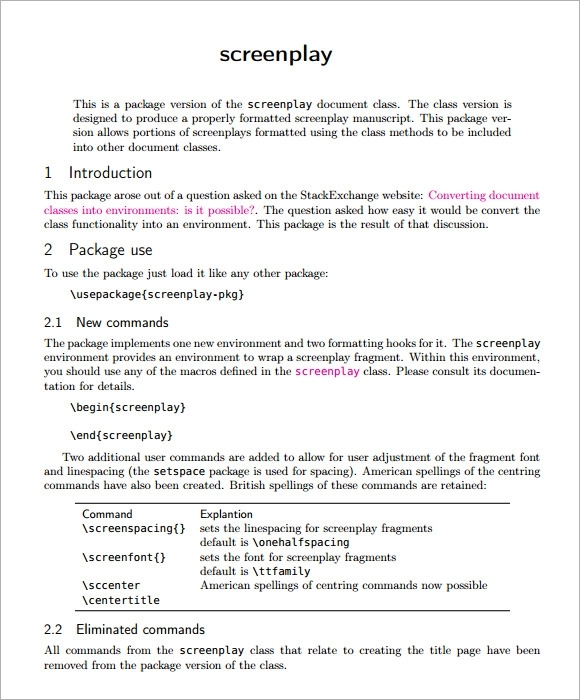 Screenplay templates are easy to use, easy to understand templates that can be easily understood by both experts and amateurs. These are free template files that can be downloaded in various Formats like Word, PDF, etc.